I was having trouble yesterday, getting my head around how clip: rect(); worked. I finally got it after this explanation (and accompanying drawing) from Ben Wilson. Rect defines a rectangle that sits over the top of whatever element you’re applying clip on and hides the rest of the element. 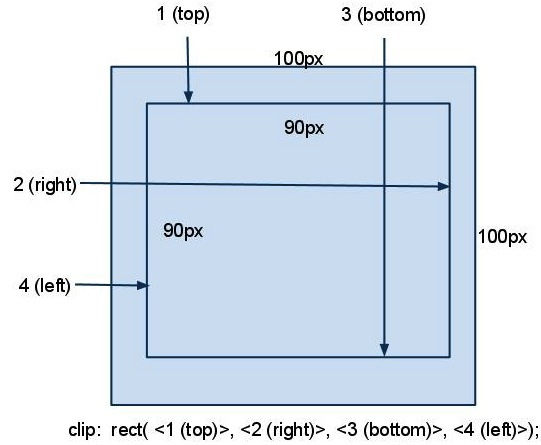 The arguments to define the rectangle all start from the top-left of the original element. Left: How far over to the left to start.